The Nigerian educational system has come under fire for producing half baked graduate corpers. 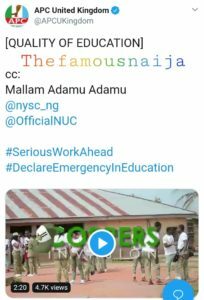 In a trending video shared online, the corpers were asked “what’s the full meaning of CCTV?” But they could not get it. The answers to this one will leave you in stitches!